Health & BeautyTrec Spirulina - 60 kaps. TREC Spirulina is extremely valuable blue-green algae. Its consumption helps the body maintain its natural balance (homeostasis). The product is an excellent source of balanced protein, essential fatty acids, easily digestible minerals and vitamins of group B. 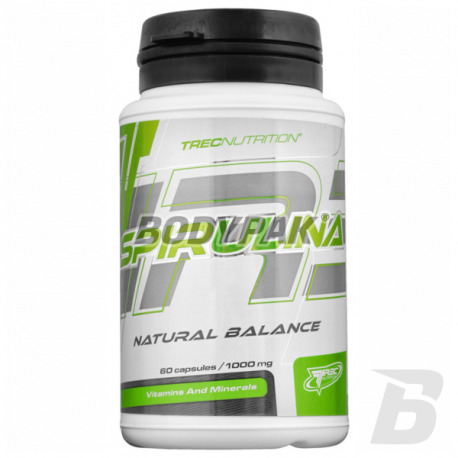 You need to know that the high degree of assimilation, which is characterized by the 100% natural formulation is critical to supplement the gaps in your diet - the right amount of minerals and vitamins determines the results achieved workout. TREC Spirulina is a completely natural and comprehensive preparation intended to supplement the daily diet with essential macro- and micronutrients, especially in winter and during the use of reduction diets. After a few portions of your body will feel the difference - right supplements can work wonders! 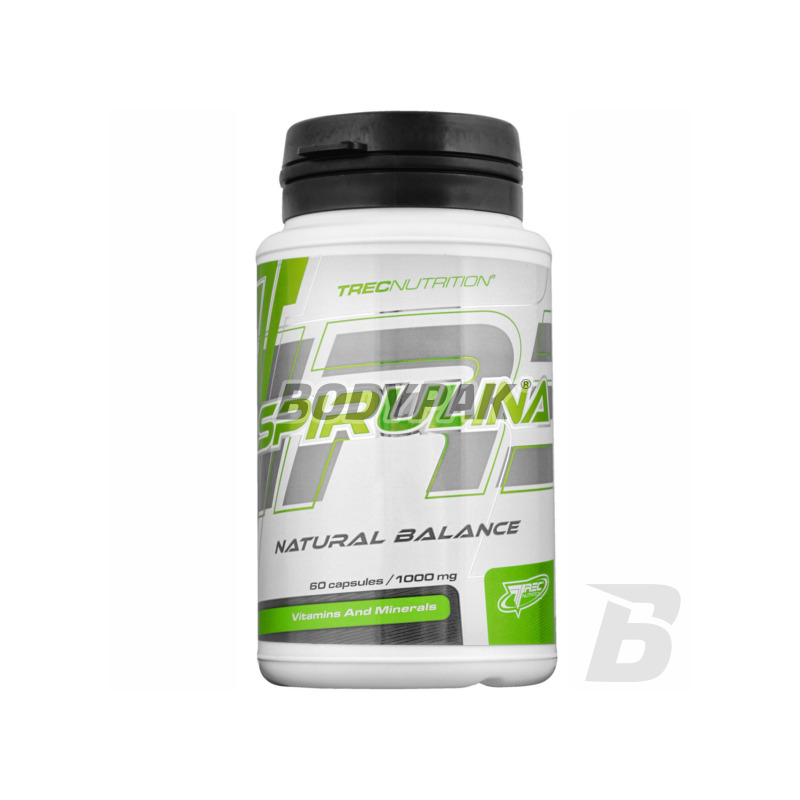 TREC Spirulina FEEL THE POWER flow STRAIGHT FROM NATURE! The recommended daily allowance is 2 capsules 3 times a day after meals. Drink preparation approx. 300 mL of water. Składniki aktywne 6 kap. 2 kap. Nie wiem czy to placebo, ale mam zdecydowanie lepsze samopoczucie po zastosowaniu spiruliny..